Holly Burgess is such an inspiring Mama with two beautiful little girls. She has recently taken on the role as Coordinator of the Born to be Adventurous (BTBA) Saskatchewan Mamas group. Meet Holly Burgess and how she found herself post-partum. Sask Mamas make sure to join the BTBA Saskatchewan Mamas Facebook group here. Road trips and camping were something Jon and I started doing together at the beginning of our relationship. The first summer we dated I bought us a tent and we would go out on weekends and just drive to random lakes and camp for a night or two. The second summer we were together we split the purchase of a 14’ 1974 Holidaire RV. This thing was like 4000 pounds, unloaded, but it was amazing and we hauled that bad boy everywhere. We traveled all the way to the Okanogan and up into Northern BC and back that summer. It is hilarious to think about now because it was so old. We just blindly trusted that thing, HA! It was on this trip we stumbled across Wells Grey Provincial Park and fell in LOVE with the area, we vowed to come back so we could spend more time exploring. The next summer we went back and spent 3 days, which was still not enough time, so made plans to come again the following summer. We ended up travelling to Thailand the next summer so we never made it back like we had planned. After I had my first baby, I had a really hard time adjusting. I felt like I had lost some friends during my pregnancy. I think I felt that way after her birth because our lives had taken different paths and I was one of the first of our friends in Saskatoon to get pregnant and start a family. Abigail was born on May long weekend, a weekend that is the official kick off of summer in Saskatchewan. A week later we took her to the lake for the first time and stayed in my family cabin. It was the first time I felt a little bit like myself after having had her. I wasn’t unhappy, I was just in a fog kind of, going through the motions. When Abigail was 11 weeks we went out to the Okanogan for some visits with family and friends. It was her first big road trip. I was still not feeling totally like myself. At the time, I really felt like having a newborn in the summer was limiting my activities. We decided to get a Thule for the car and pack our camping gear so we could detour through Wells Grey (FINALLY!!) and Jasper on the way home, making the whole trip around 3600km. I was so happy to get back to Wells Grey one of my favourite places to adventure before kids. We spent our time in Lake Country and headed to Wells Grey in early September, only to find we had forgot our tent pad and long underwear. Determined to be our old adventurous selves and not let having a baby stop us, we decided to tough it out and sleep without them. I had everything we needed for Abigail “so it didn’t matter”. We set up camp and took her for a hike on a trail that runs behind the campground to some small waterfalls. I will never forget how she just stared at them, so content. We went back, had dinner, and after getting her set up and bundled she went to bed. Jon, my husband, and I sat up playing cards and enjoyed the feeling of normalcy. That night, it was -2 Celcius over night and Jon and I FROZE on the ground, sans camping pads.I still laugh thinking about it. Abigail, however, was snug as a bug and slept through the night for the first time, having had her long underwear, a pad to sleep on and a WAY more prepared set up than Jon or myself. THAT was my first LOL moment as a mom, and really made me feel like a parent. I had put all her needs first, neglected my own (and my husbands) so while she was happy as a clam, having the best sleep of her life, we froze!!! We made it through the night, got up and Jon made a fire while I nursed Abbie, watching her eyes the whole time just fixated on the trees, totally oblivious to the fact that any mistake had been made on her parents part. I felt completely myself. Totally content in spite of the cold night and I knew this was going to be a common thing for our little family. Mistakes in packing and all! These trips have become part of our new normal. The next summer we sold our beloved Holidaire, and bought our first nice RV, a 24’ Nomad. We spend almost every weekend in the summer there and we head out on one big adventure through the mountains with it usually trying to find new spots and try new things. Abigail is getting to the age where she remembers our adventures. She frequently asks “when we are going camping?” and “when do I get to go hiking for waterfalls”. This has been so has been so cool to watch. While we still do have an iPad and watch TV, we make sure to balance it out with as much outdoor adventure as we possibly can in the summer and the winter. Hearing Abbie talk about camping, campfires, the lake, mountains, and waterfalls reinforces that I am doing a good job as her mom. Being outdoors has really helped me find my niche as a mother. It also helps me feel like I am still an individual, which is hard to remember sometimes! I have known Annika since high school, and have been reading Annika’s blog(s) since she and her little family moved to Copenhagen with their first-born. When Born to be Adventurous was just getting started I was really intrigued. 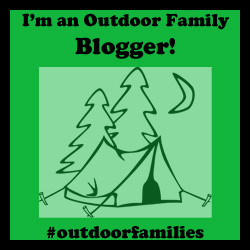 It is the reason I was introduced to this HUGE community of outdoor/travelling families and other moms/women who are passionate about being outdoors. All while keeping their adventures going, kids in tow. Starting a BTBA group for Saskatchewan moms felt like something I had to do! We had our second daughter in September and last summer she was on her first big road trip (in my belly). While she hasn’t been camping for real yet, she has spent a ton of time outdoors and is going to fit in just fine with our little adventurous family, as she is content as ever outside. This summer the girls and I will be camping for a month straight in Waskesiu with Jon joining us on weekends. We will also be heading out to BC for three weeks as a family. Add some weekends and we will have spent two months or more in the camper by the end of summer! I can’t wait to see where our adventures as four take us! Follow Holly Burgess’s Adventures on Instagram HERE. Join the BTBA Saskatchewan Mamas Group Here. From Alberta? Join the BTBA Alberta Mamas Group Here.